Teachers from a number of schools will work together to develop their understanding of how to facilitate activities and questions that provide opportunities for all children to work at greater depth than the expected standard, as and when they are ready for it, within a teaching for mastery context. Building on findings from the 2017-18 project, more schools are being offered the opportunity to explore what it means to work deeply in mathematics. 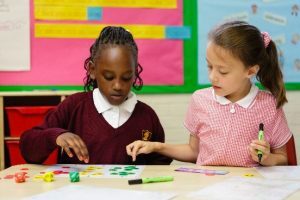 Collaboratively, they will use existing tasks/questions and design their own, to ensure that pupils are not accelerated through the programmes of study but have a deep and sustainable knowledge of mathematics for their age.